Popfax is one of the latest online faxing services and boasts about both affordability and ease-of-use. This faxing service has considerably low rates allows faxing from any online location and provides a free no-cost trial which is different from other online fax services. Popfax provides a local fax number that is both portable and customer-dedicated. Cover pages of faxes are customizable which allows for the professional transmission of faxes. In addition to this, there are fax logs available online which allows you to find whether your fax was transmitted or not, and when the fax was received. Like other online fax services, you can fax from any location at any time, using either a PC, smartphone or a tablet. 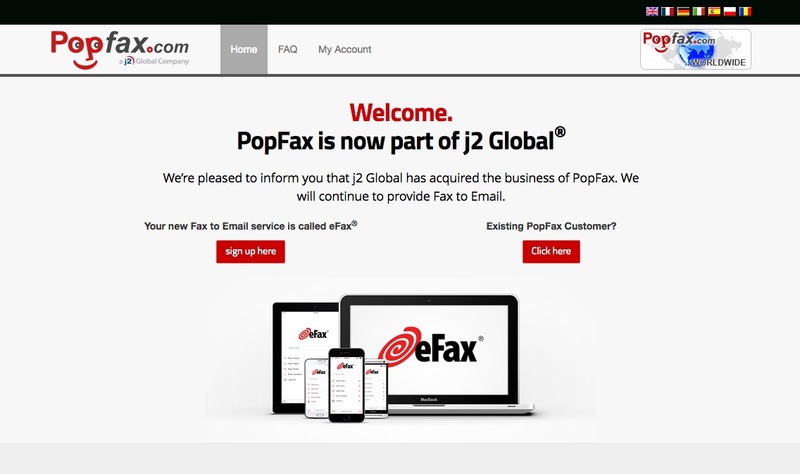 Popfax is created for those who need to send or receive faxes. The most beneficial aspect of Popfax is that it provides the ability to fax via the Internet to any location in the world. In addition to this, there are a variety of special pricing offers available, which also includes a free trial without any requirement of a credit card. There are pricing plans available for services to send and receive fax, service to send a fax only, and service to send and receive with additional options. Pricing starts at under $5 dollars per month, and it also includes customer service accessibility, in case any problems occur. Like other internet fax services, Popfax is specially designed for customer’s ease-of-use in mind. One can send and receive faxes anywhere in the world. This service doesn’t require any software installation. When any client signs up, a local fax number is assigned to that particular client, and this can be held indefinitely by simply extending the period of subscription. This also means that people won’t recognize whether you have sent a fax from your fax number or from a number that belongs to a dedicated fax line. In case the client already has a fax number, it can also be transferred to their Popfax number. This, in turn, allows the client to continue receiving faxes via the old fax number. Popfax provides customer service via telephone or a website. It can also be reached if a client wishes to use a secure customer care form located in the particular Account area of his/her subscription dashboard. With this, we end our review of this online fax service. In case you decide to try Popfax and use its services, do let us know about your experience. We would like to see your views in our comment section below.